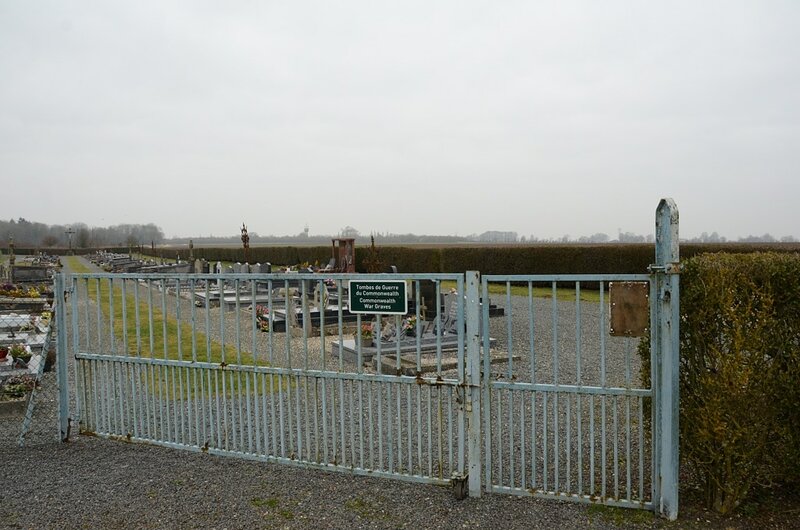 Martainneville is a village and commune about 15 kilometres south-west of Abbeville and about one kilometre north-west of the main road from Blangy-sur-Bresle to Rouen. 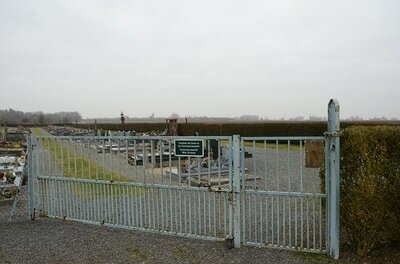 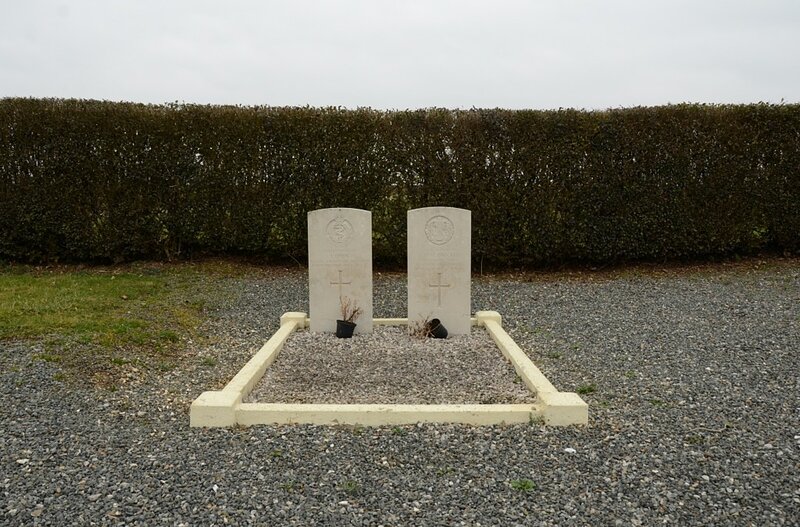 The two British graves are in the north-eastern part of the cemetery, near the northern boundary. 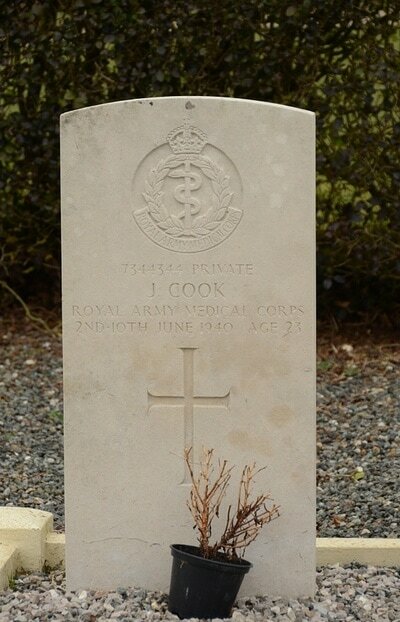 7344344 Private James Cook, 152nd Field Amb. Royal Army Medical Corps, died between 2nd June 1940 and 10th June 1940, aged 23. 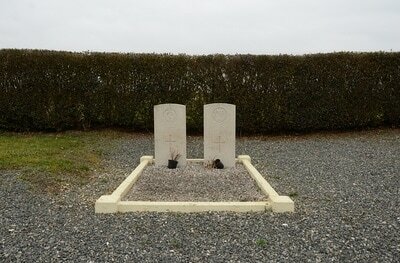 Private John MacDonald, 4th Bn. Queen's Own Cameron Highlanders, died 6th June 1940, aged 29. 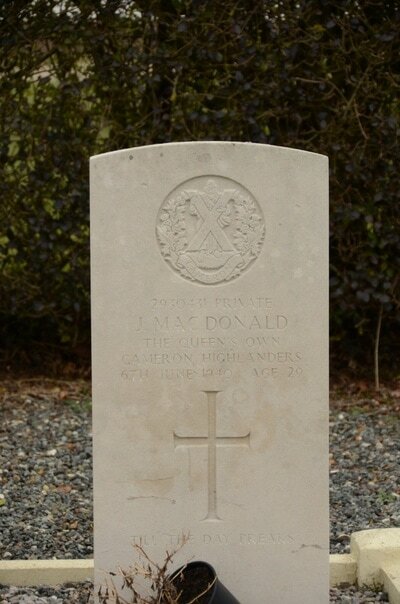 Son of William and Mary Macdonald.